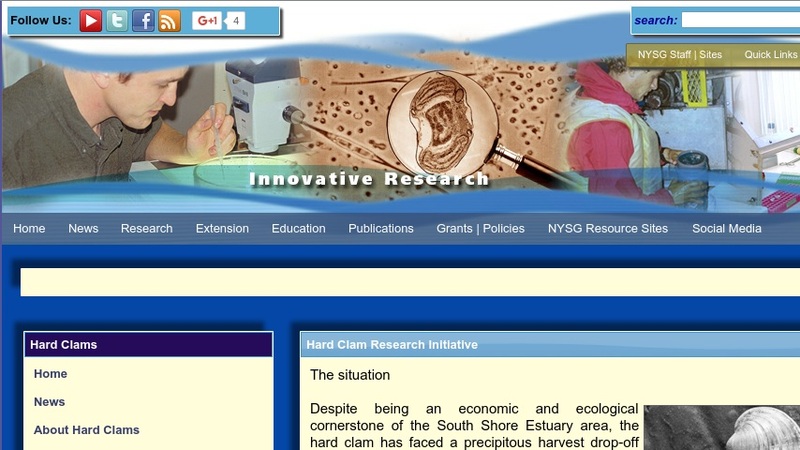 This New York Sea Grant website hosts the Hard Clam Research Initiative, a program launched in October 1999 to investigate the population dynamics of hard clams in Long Island's south shore estuary. The site features links to program information, the research projects involved, facts about hard clams and the hard clam industry, a list of publications, media links, and contact information. It also includes a "What's New" column that highlights current events associated with the project.